RTW hosts many events throughout the year, some of which require tickets. Watch this space for more information regarding event tickets for some of our key functions. That's RTW's vision and motto. 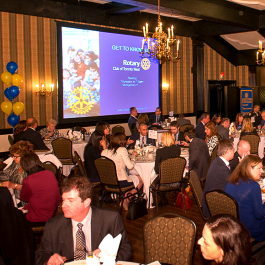 For nearly 20 years, we have been honouring people in our community that exemplify "service about self" in connection with the needs of youth. Past honourees include Dr. Roberta Bondar and Tom Mikalik. Our honouree in 2019 will be Denise Bebenek, founder of Meagan's Walk: Creating a Circle of Hope, which raises funds for pediatric brain cancer research. Hosted at Etobicoke's beautiful Old Mill Inn, this gala event is always a smash success and tickets go early. The next event will be held on January 25, 2019 - save the date! 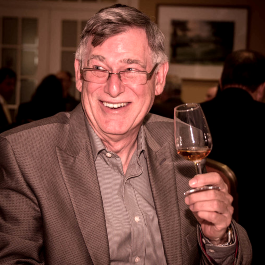 Bring friends and family to our popular Scotch Nosing Event! An exquisite six course pairing of select single malt scotches with fine Scottish and New World fare will be available to you at our 11th Scotch Nosing, to be held November 29, 2018. Don't miss it! 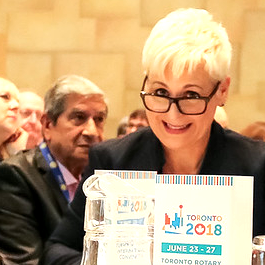 Rotary District 7070 conferences are full of facts and fun - a celebration of all things Rotary! The conference venue changes annually but is always selected with care to augment our experience. New conference themes keep things fresh. Check the district 7070 website for information.